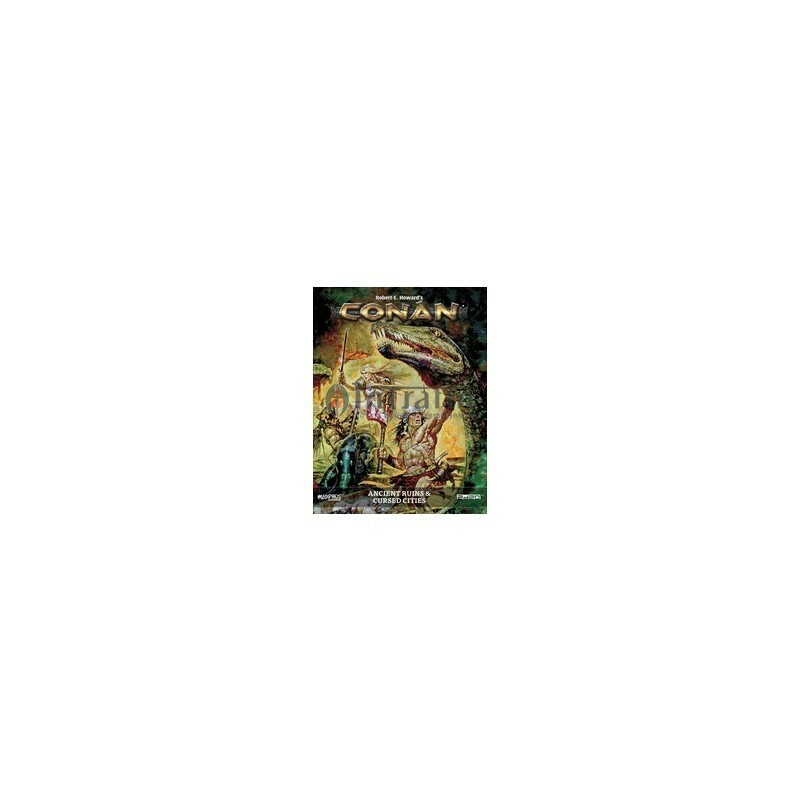 The Hyborian world in the time of Conan teems with remote and forgotten places, brimming with danger and secrets. 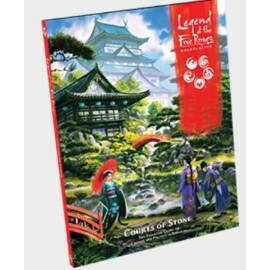 Ancient Ruins & Cursed Cities is the ultimate Gamemaster reference for bringing these crumbling ruins and remote locales to life. Descriptions of famous ruins from Conan’s adventures, including Kuthchemes, Alkmeenon, and the ruined city along the Black Coast where Bêlit met her fate. New places inspired by the writings of Robert E. Howard — including the Nameless City, the mountain resort-city of Kamula, Lemurian and Atlantean ruins, and other settings from before the Cataclysm — as well as locales from the Cthulhu Mythos stories of H.P. Lovecraft such as R’lyeh, the City of the Old Ones, and others. Doom and Momentum spends specific to these locations, and story seeds to inspire gamemasters in crafting new CONAN adventures. A ruins generation system allowing Gamemasters to create their own ancient ruins and cursed cities. 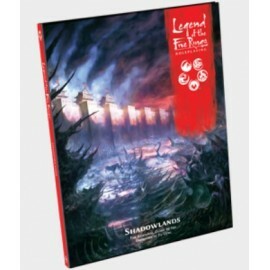 Write-ups of diabolical and powerful entities such as ka-ghouls; the servants of Bit-Yakin; nightmare mounts; Thugra Khotan; and Gyatha, Master of the Black City.Rules for exploring and moving through ruins, dodging traps, and environmental effects to avoid. Treasures of renown such as the Teeth of Gwahlur, the Dagger of Derketa, the Staff of Epemitreus, and others, as well as a treasure hoard generation system and new item qualities. 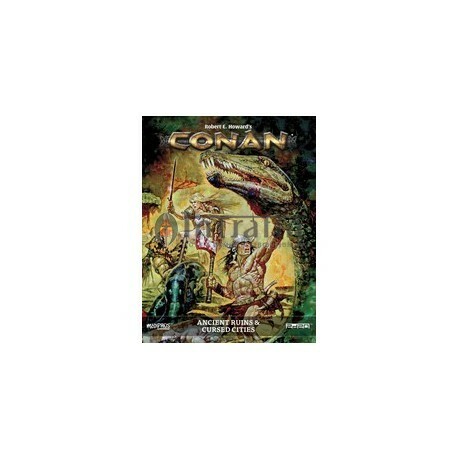 Developed with leading Conan scholars, this book explores the lost and fallen locales of the Hyborian Age, providing Gamemasters with the tools to create their own memorable environments. This book requires the Robert E. Howard’s Conan: Adventures in an Age Undreamed Of corebook to use. Made in the UK.